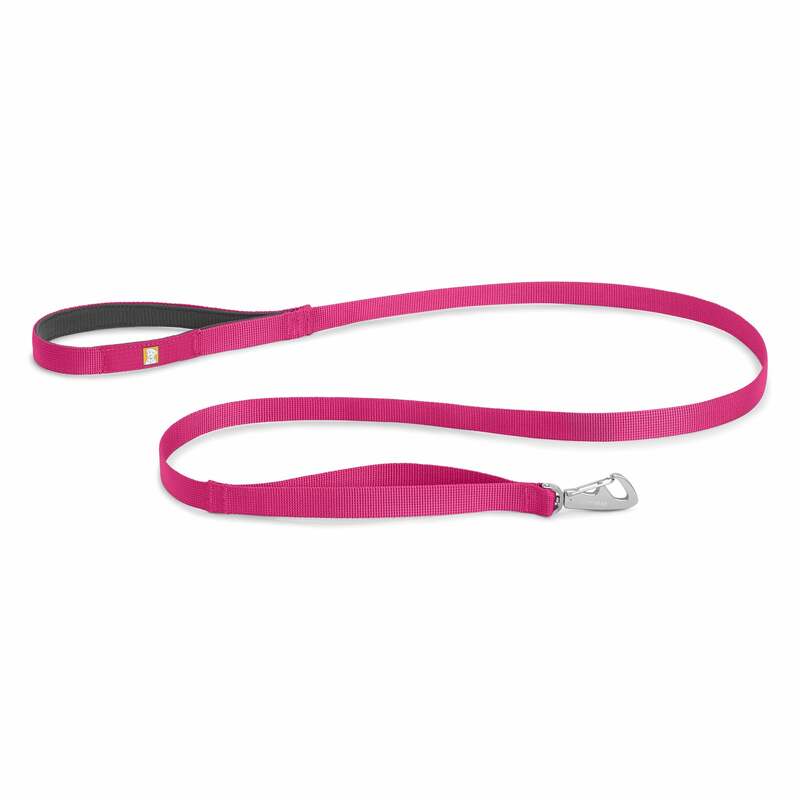 The Ruffwear Front Range Leash provides a strong yet light 3/4 inch webbing leash for a comfortable walking experience. The Front Range Leash includes a padded, ergonomic handle, Ruffwear's custom designed webbing, and is available in bright bold colours which can be matched to the Front Range Harness. The sturdy low profile clip is designed to allow one handed use.